East Feliciana Parish is in the heart of English Louisiana’s Plantation Country, and is noted for its scenic beauty and historic landmarks. A legal, educational and commercial center in the days when cotton was king, the area retains much of its antebellum heritage and pastoral beauty, and offers a cornucopia of quaint historic towns and unsurpassed country drives. 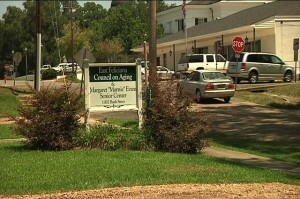 Towns in East Feliciana include Jackson, Clinton, Ethel, Norwood, Slaughter, and Wilson. Jackson was founded in 1815, and served as a land office and as a center for learning and culture. The town was named for General Andrew Jackson, who reportedly camped there with his troops. 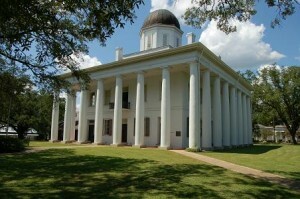 Jackson boasts fine architecture in its unusually well-preserved historic area (a historic district of one hundred twenty-four structures was placed on the National Register of Historic Places in 1982).It shares with the town of Clinton the distinction of a significant heritage of Greek Revival architecture. East and West Feliciana. Clinton became known as the legal center of the area, and when the Clinton and Port Hudson Railroad was established in the mid- 1830s, the town found prosperity as the cotton trading point for a large area. This prosperity is reflected in the still handsome buildings of antebellum and Victorian design. In the 1800’s, several railroads expanded in the western portion of the parish. Along these new rail lines, the communities of Slaughter, Norwood, Ethel and Wilson were established. Ethel was named for the daughters of two early residents who were instrumental in placing a station for the Yazoo & Mississippi Valley railroad at that location. One Ethel was the daughter of the influential Mr. McKowen and the other was the child of Dr. Perkins, a local land owner. Norwood was founded in 1883 when Abel J. Norwood gave the right of way and seventy five acres to establish the town when the railroad came through. 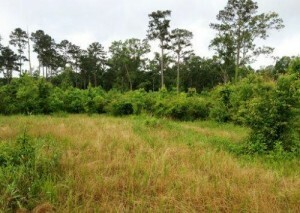 It is located on Highway 19 about 40 miles north of Baton Rouge and almost on the Mississippi state line. Slaughter was incorporated in 1888, and named for the original owners of the land on which it is located. When the railroad was being cut through, the place was called Burnsville and a post office was located there and called Belzara. After the railroad was completed and a depot put there, the station and post office were both changed to honor Will and Joe Slaughter. Wilson was a railroad town from its inception. It was situated on the main line of the great Louisville, New Orleans, and Texas Railway and a relay station (roundhouse) was located there.